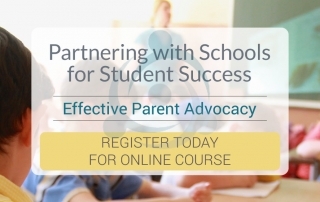 The Learning Disabilities Association of Ontario, in partnership with the Integra Program of the Child Development Institute, is presenting an online workshop for parents and those who are helping parents navigate the school system. 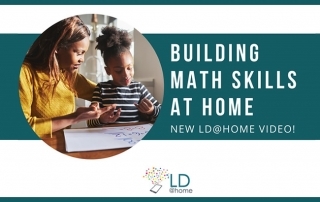 Parents of children with learning disabilities (LDs) know that math can present some of the greatest hurdles in their academic careers, yet building math skills is necessary for succeeding in everyday life. We use math for cooking, shopping, playing games, sports and so much more. The Centre for ADHD Advocacy Canada (CADDAC) is conducting a survey of parents and others across Canada, on education experiences of students with ADHD in the school system. Anyone interested can access the survey at Education Survey or share education experiences at advocacy@caddac.ca. Students with learning disabilities who are going from secondary to postsecondary education can benefit greatly from attending summer transition programs. Most colleges and universities in Ontario run programs for their own incoming students, and there are a couple of programs that are open to students attending other postsecondary institutions. See: Postsecondary Summer Transition Programs 2017 The Regional Assessment and Resource Centre (RARC) has created a new practical resource document for students with disabilities who are going on to postsecondary education.